The pope kisses refugees' feet, surfers celebrate Purim and more of Thursday's best photos. 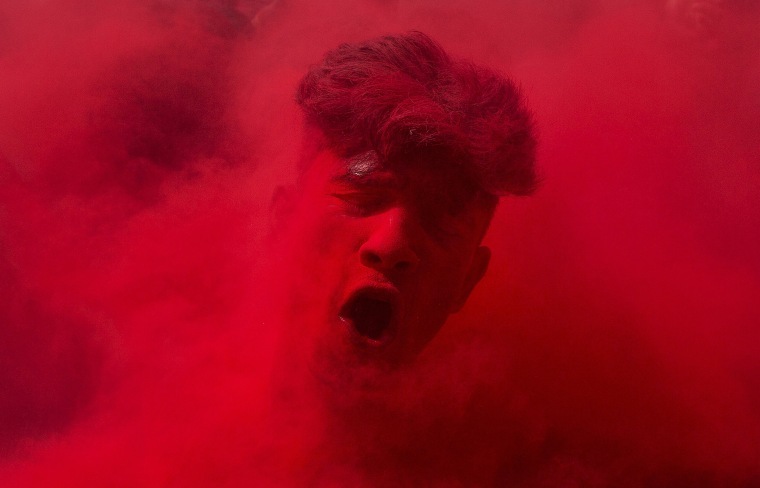 A reveler, face smeared with colored powder, dances during celebrations marking Holi, the Hindu festival of colors, in Gauhati, India. The festival celebrates the arrival of spring. 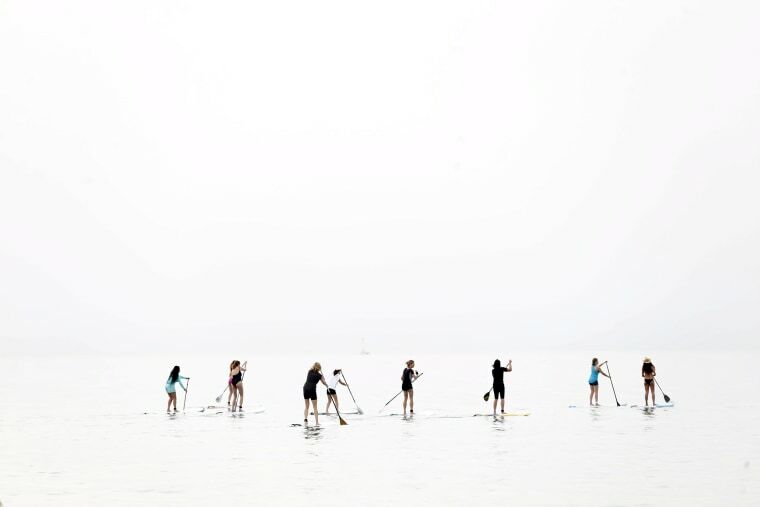 Paddleboard surfers, some dressed in costumes, take part in an event for the Jewish holiday of Purim in the Mediterranean Sea in Tel Aviv. Purim is a celebration of the Jews' salvation from genocide in ancient Persia, as recounted in the Book of Esther. 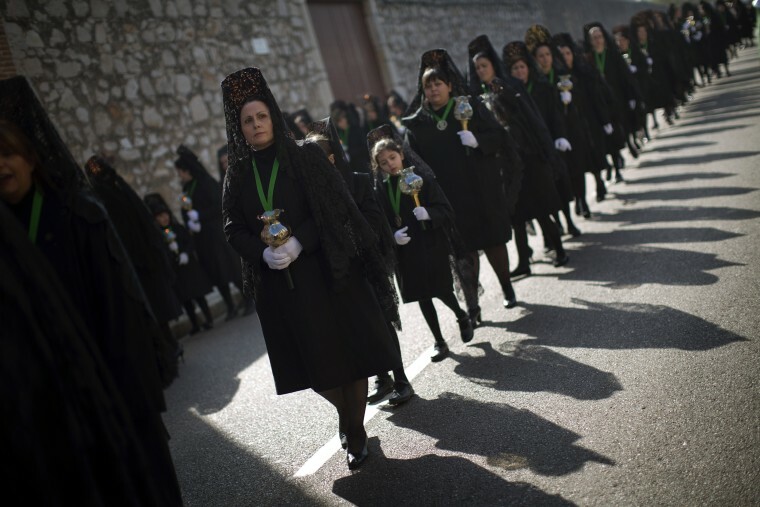 Women wearing the traditional mantilla take part in a Holy Week procession in Zamora, Spain. Hundreds of processions take place throughout Spain during the Easter Holy Week. 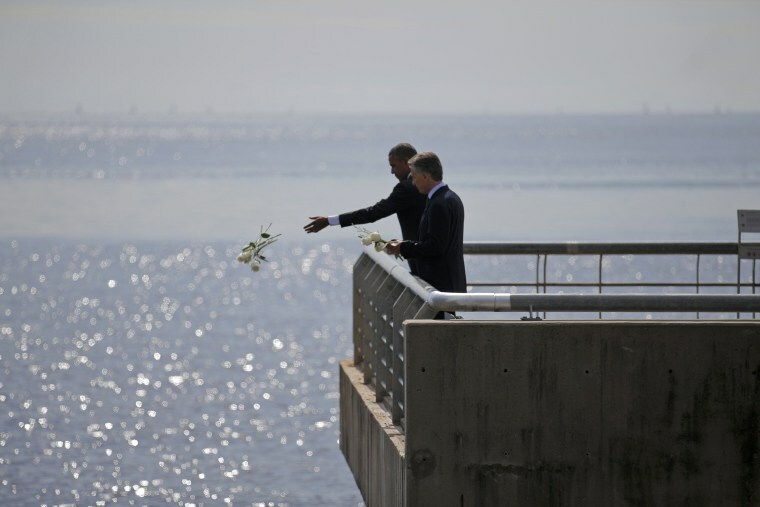 President Barack Obama throws flowers in the River Plate while visiting the Parque de la Memoria (Remembrance Park) in Buenos Aires with Argentina's President Mauricio Macri. The leaders honored victims of Argentina's Dirty War on the 40th anniversary of the 1976 coup that initiated that period of military rule. 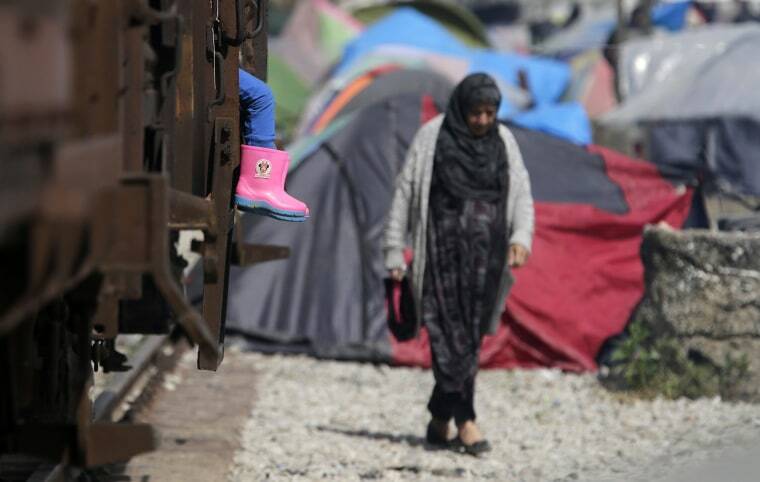 A migrant child's feet stick out from a train at the Macedonian border in Idomeni, Greece. Migration restrictions along the so-called Balkan route, the main path for migrants and refugees from the Middle East to the EU, have left thousands of migrants trapped in Greece. From left, Habiba Masic, Fatima Mujic, Vasvija Kadic and Mirsada Kahriman, gather at the at the Union of Srebrenica Mothers, in Tuzla, Bosnia, to watch a television broadcast of the sentencing of Radovan Karadzic in The Hague. Karadzic was convicted of genocide and nine other charges and sentenced to 40 years in prison. 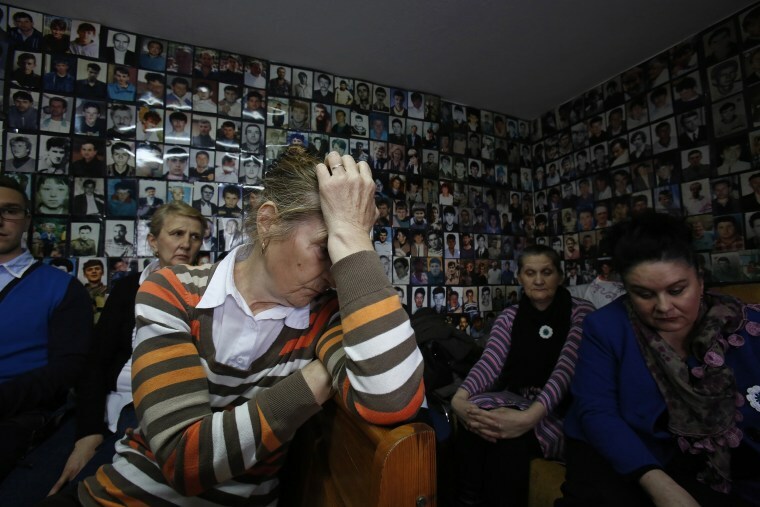 Photos of missing Bosnian people are plastered on the walls in the background. 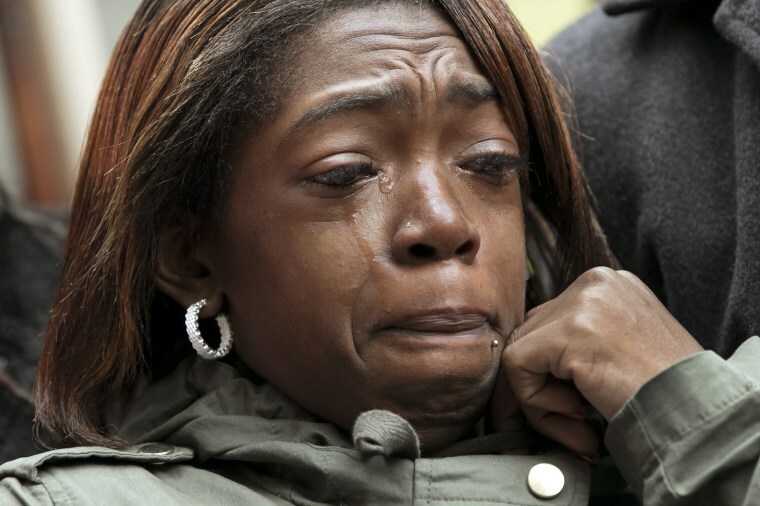 Melissa Butler, the girlfriend of Akai Gurley, cries during a protest in Brooklyn, N.Y. A prosecutor will ask a judge not to give jail time to New York City police officer Peter Liang who was convicted of accidentally firing a stray shot into a dark public housing stairwell that killed 28-year-old Gurley, an unarmed man, a recommendation that the victim's family said "diminishes" his death. Butler was with Gurley in the stairwell when he was shot. 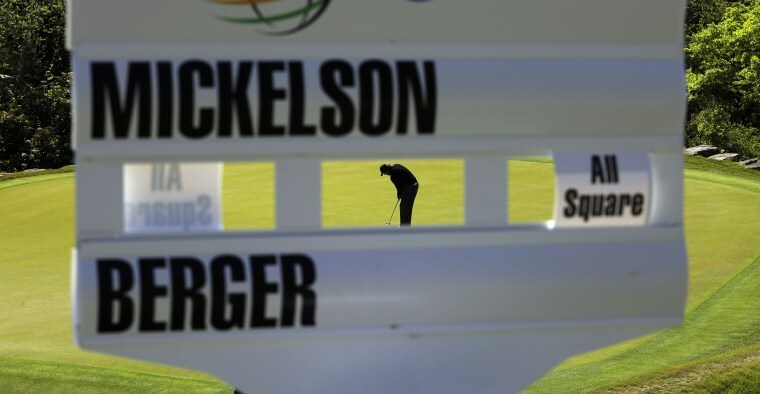 Phil Mickelson putts on the second green during round-robin play against Daniel Berger at the Dell Match Play Championship golf tournament at the Austin County Club in Austin, Texas. 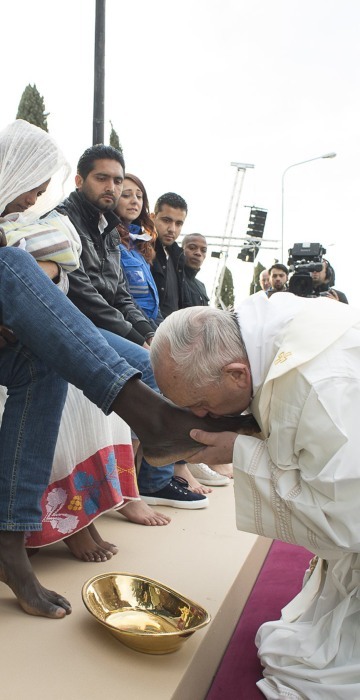 Pope Francis kisses a man's foot during the foot-washing ritual at the Castelnuovo di Porto refugees center, outside Rome. 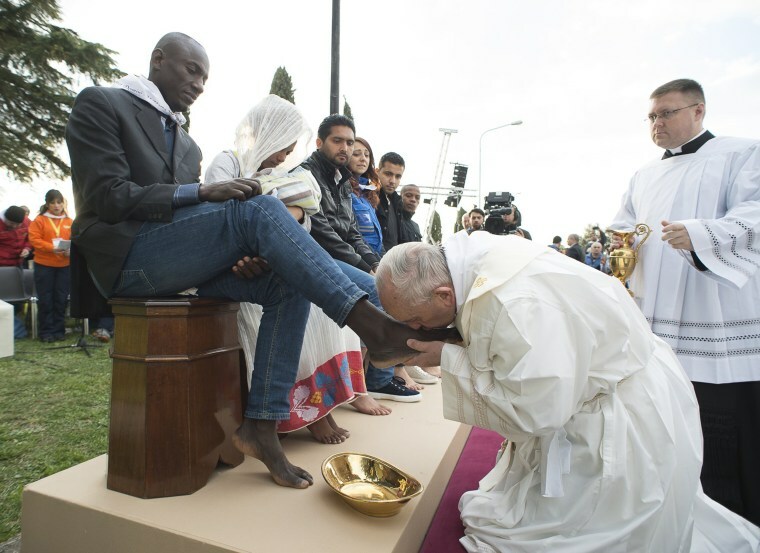 The pontiff washed and kissed the feet of Muslim, Orthodox, Hindu and Catholic refugees Thursday, declaring them children of the same God, in a gesture of welcome and brotherhood at a time when anti-Muslim and anti-immigrant sentiment has spiked following the Brussels attacks. 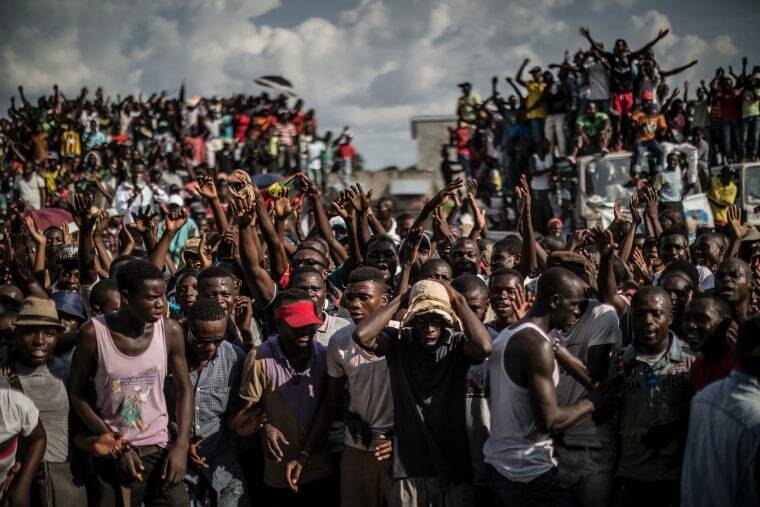 Supporters of opposition leader Guy Brice Parfait Kolelas rally outside their candidate's headquarters in Brazzaville, Congo, on March 23. Opposition candidates in elections in Congo Republic said on Wednesday that President Denis Sassou Nguesso placed no better than fourth in any major district, rejecting official partial results that gave him a commanding lead.